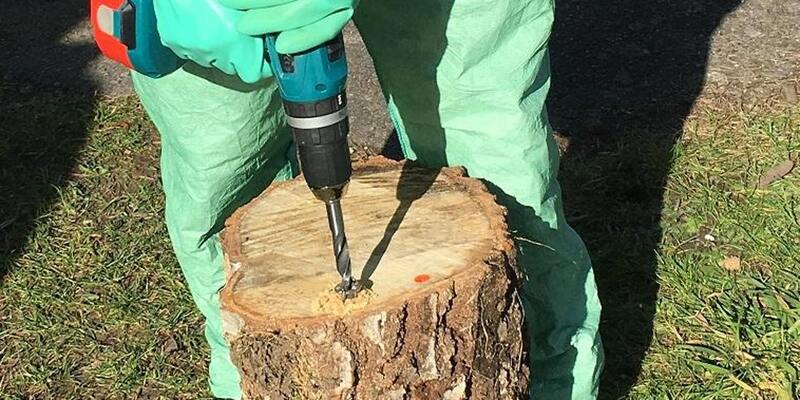 Pesticide Plugs are used to kill tree stumps and prevent regrowth, and can be used all year round. Stumps and roots can continue to sprout new shoots and these can produce bushy regrowth very quickly in some species. Using Plugs is a safe process that can be carried out in small and large areas and in a variety of situations, such as amenity areas, golf courses, railway embankments etc. Either a valid Lantra award in the Safe use of Pesticides or NPTC PA1 qualification is a pre-requisite for this course. Open courses (for individuals to attend) are offered at Allscott, Telford. On-site courses can be arranged in many areas of the UK for groups of 4 or more. New dates currently being planned – Use the link below to register your interest.